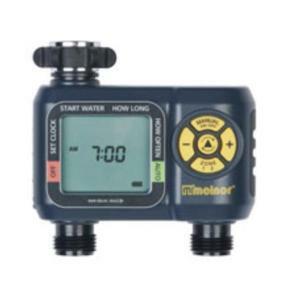 Melnor 2-Zone Hose End Water Timer allows you to water two separate zones independently from one water spigot. The flexible programming allows watering from once per hour, up to 24 times per day, to once per week on each valve. Watering durations from 1 minute up to 6 hours. One of the most versatile hose end water timers available!